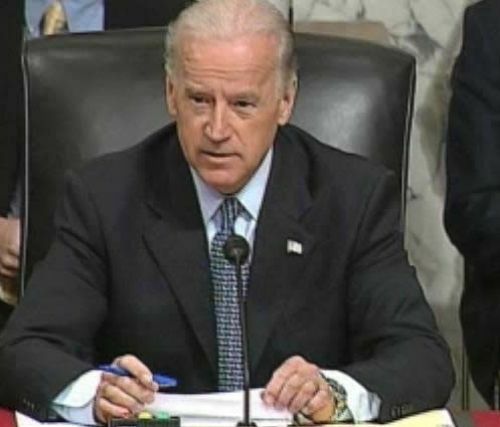 VP Joe Biden has spoken out forcefully against the 47 Republicans who took it upon themselves, with no constitutional authority to meddle and attempt to undermine the ongoing nuclear negotiations with Iran. While you are at it, read the response to the 47 shameless and dangerous ones from Iranian Foreign Minister, Dr. Javad Zarif. TEHRAN - The Iranian foreign minister on Monday reacted to an open letter to Iran's leaders by 47 U.S. Republican senators who had warned Tehran that any nuclear deal that the Islamic Republic signs with President Barack Obama's administration won't last after Obama leaves office. Mohammad Javad Zarif said the letter lacks "legal validity" and shows that the signatories of the letter are "ignorant of international law"
"In our view this letter has no legal validity and is just a propaganda scheme," Zarif noted. The letter proved that "like" Israeli Prime Minister Benjamin Netanyahu these senators "are opposed to any deal". Expressing surprise on how it is possible that the legislators of a country write a letter against their own president and government to the leaders of another country, Zarif said, "The letter by the senators show that not only they are alien to international law but even not familiar with the details of the their own constitution about the authority of the president" in implementing foreign agreements. So an Iranian has to school Repubs on their job definitions. On the heels of Israeli Prime Minister Benjamin Netanyahu's all-but GOP-sanctioned address to Congress last week, in which he torpedoed any potential nuclear deal with Iran, 47 Republican senators released an open letter Monday morning threatening that any such deal could be revoked sooner rather than later. With the partisan rancor over the ongoing negotiations at an all-time high, Senate Minority Leader Harry Reid (D-Nev.) slammed the GOP letter, calling it a "hard slap in the face of not only the United States but our allies." Reid pulled no punches in condemning what he sees as naked partisanship and "dislike of the president so intense" that Republican leaders are willing to disrupt policymaking. "The judgment of my Republican colleagues seems to be clouded by their abhorrence of President Obama," Reid said. "It's unprecedented for one political party to directly intervene in an international negotiation with the sole goal of embarrassing the president of the United States."